Six brain-based strategies to help kids with attention-deficit/hyperactivity disorder build confidence, engagement, and focus. According to the Centers for Disease Control and Prevention, approximately 11 percent of children—that’s 6.4 million kids—in the United States ages 4–17 were reported by parents to have a diagnosis of attention-deficit/hyperactivity disorder as of 2011. Dr. Russell Barkley, clinical professor of psychiatry at the Medical University of South Carolina and an expert on ADHD, says that this disorder is primarily about emotional regulation and self-control and is not just about inattention, impulsivity, and hyperactivity. Emotional regulation, which is foundational to social, emotional, and academic success, is underdeveloped in these young people. Barkley emphasizes that ADHD arises from neurogenetic roots and is not a knowledge or intelligence disorder. This year, I am working with the Indianapolis Public Schools and co-teaching in a fifth- and sixth-grade classroom. In class, I have students who are significantly challenged in terms of paying attention, focusing, and regulating their emotions. Each day I see how they struggle emotionally, socially, and academically, and observe how they can begin to wither away in deep feelings of self-doubt and uncertainty if they don’t have a sense of purpose and connection. Below are a few brain-aligned strategies that we’re implementing in the district. I have found that these strategies, which focus on the strengths and interests of these struggling students, can have a profoundly positive impact. 1. Whole Class Discussions: It’s very unsettling when students see another student struggle and do not understand why that student is struggling. At the beginning of the year or grading period—or simply when behaviors and learning as a class go awry—we have the opportunity to address the challenges and strengths of various learning and emotional disorders with the entire class. Invisible disabilities are often met with fear and anger from other students because of the unknown or a simple misunderstanding of their classmates’ emotional, social, or academic challenges. Just as some of us need glasses to see clearly or take insulin to regulate blood glucose levels, others need an oxygenated supply of movement, brain intervals, or space and time to regulate after a 10- to 20-minute instructional lesson. Holding class discussions about the neurodiversity of human brains helps all students to understand each other. 3. 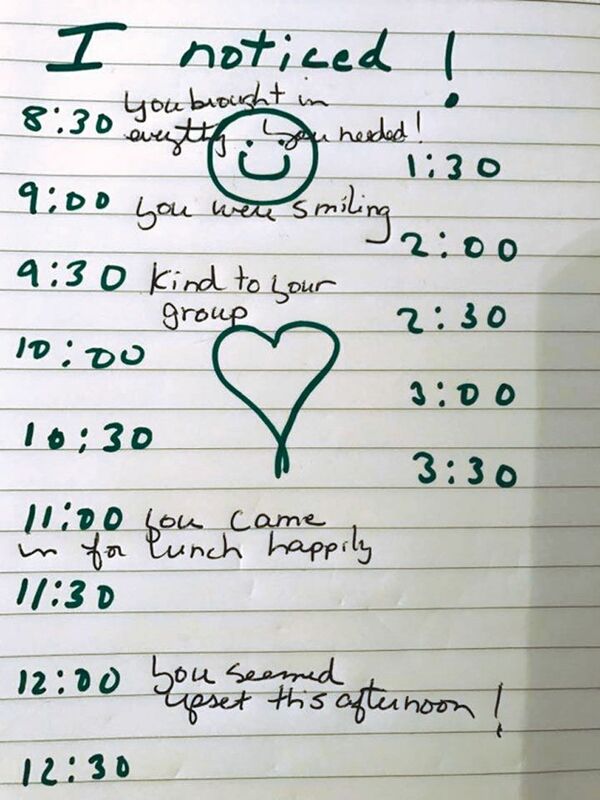 I Noticed: Homemade “I Noticed” sheets are great tools for reinforcing all that is going well moment by moment even when you’ve had moments of adversity. 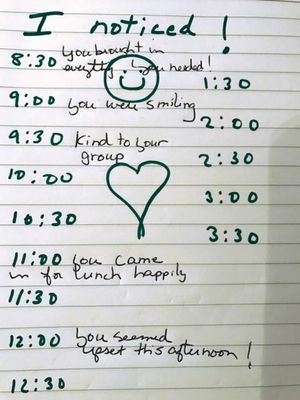 Students who struggle with attention and focus need this constant feedback throughout the day to help them track how they are learning and to know that the teacher is present and aware. All students love homemade sheets—they show that the teacher has taken time and effort to help them feel and be successful. 4. Brain Stories: Children and adolescents who struggle to pay attention sometimes don’t feel accepted or successful in school. 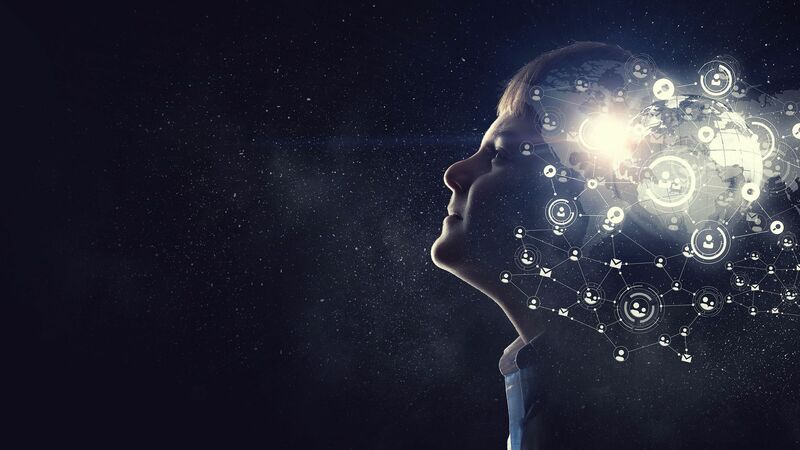 Yet, beneath many of the challenges of neurodiversity are facets of your students that are not always shared during content instruction—personal stories that highlight these students’ strengths, gifts, and feelings. Psychiatrist Dan Seigel says, “What is shareable is bearable, and what you can name, you can tame.” A great way to recognize these students is to have them share “brain stories”—personal experiences, strengths, interests, and feelings. You can further engage them by giving them a choice as to whether they want to create their stories in narrative or picture form. Younger students may begin to showcase their lives through pictures and artwork; older students may want to add sections, revise current categories, and change the format as they see their life journeys unfolding. Brain stories can be created throughout the semester or academic year and posted on a weekly or monthly timeline. Much like an Individualized Education Program, the brain story will accompany each student throughout his or her school years, though you can invite students to modify, rework, and share their stories over time. 5. Homework for the Teacher: One of the best brain-aligned strategies I have implemented with all ages is doing homework for them on the weekend. Each Friday, I select a couple of students who are in need of affirmation and who have struggled to meet a few of their goals. I usually know their interests and likes, and so I ask, “I have some time this weekend and would love to learn for you! What would you like for me to research this weekend? What would you like to know more about? I will bring my work to you on Monday!” The excitement, the feelings of connection are palpable, and each time, I see more effort from these students than I did the weeks prior to this invitation. 6. Chunking: Chunking or condensing assignments and instructional time with frequent feedback is an excellent way to build on small successes. Students diagnosed with attention challenges may require a smaller list of tasks to complete within a structured, shorter period of time. As an example, I’m working with a second-grade student diagnosed with ADHD and anxiety who was literally throwing tantrums and disrupting the class several times a day when he began feeling frustrated, overwhelmed, and unsuccessful. We have now chunked his assignments and written those on colored sticky notes. When he arrives in the morning, he has two assignments to complete that are clear and easy to accomplish. When he completes those two assignments, he is given a brain break for a few minutes and then moves on to the next task. We have seen amazing improvement with his ability to pay attention and to remain focused and inspired with these shortened assignments and tasks. We will continue to build and lengthen these assignments over a period of time with the renewal of time spent on something he loves and enjoys. Teach Thought has published a great list of 30 of the best education games for iPad. To feel connected and understood is intimately connected to academic success. When engagement increases, behavioral challenges begin to diminish.